George is a 2018 SIR Ian Dixon scholar which is joint scholarship between the CIOB and the Worshipful Company of constructors. ‘INNOVATION MANAGEMENT STANDARDS IN INFRASTRUCTURE CONSTRUCTION’. George’s research aims to clarify the relatively new, and potentially murky, concept of innovation management in UK infrastructure construction. 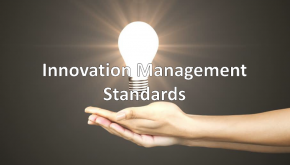 In particular, he considers how the European Innovation Management Standard could be used to accelerate innovation in the industry. His principal findings show that innovation management standards are influential when creating an environment to support innovation. Industry case studies demonstrate that organisations could benefit from implementing the current standards.